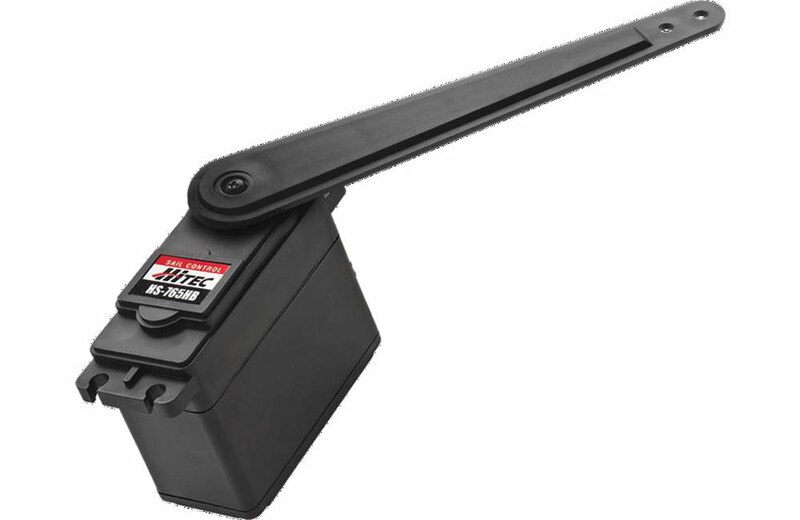 All Products > "2215500 HiTec Servo HS765HB"
The HS-765HB sail arm servo has up to 140 degrees of travel and comes with a Heavy Duty 4.5 inch arm. With its dual ball bearing supported output shaft the HS-765HB will provide years of reliable service for your R/C sailing applications to 2 meters. Speed: (4.8V/6.0V) - 0.28 / 0.23 sec @ 140 deg.